Bristol, England is well documented for its more fashionable and often dance-orientated bands emanating from the city that can often be as dark in tone as it can in sound. Apache Dropout have resisted the temptation of fashion and instead crafted a body of work that is built around the more traditional components and in the process crafted something that is compelling and, at times, refreshing. 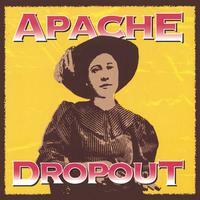 As stark in its revelations as it is tempting in sound, Apache Dropout have released a truly monumental debut album.